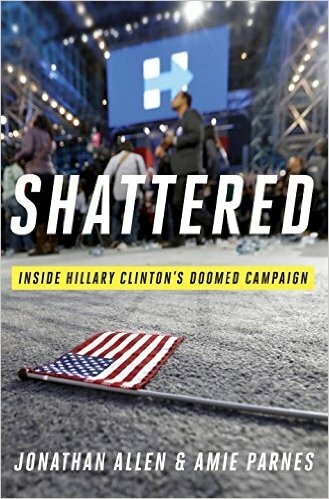 It’s been nearly six months since Hillary Clinton lost the presidency to Donald Trump, and if she had any hope that people would stop talking about how bad her campaign was, she got a rude awakening this week when Shattered: Inside Hillary Clinton’s Doomed Campaign was released. Article after article has revealed details from the book that make Clinton’s campaign less like a well-oiled machine up against unforeseeable forces and more like the Titanic—if the crew knew the iceberg was there all along and deliberately ignored it, as reported in The Observer. "All of the jockeying might have been all right, but for a root problem that confounded everyone on the campaign and outside it," they wrote at the end of Chapter One, as cited in Rolling Stone. Chapter One is entirely about that campaign's exhausting and fruitless search for a plausible explanation for why Hillary was running. "Hillary had been running for president for almost a decade and still didn't really have a rationale, " conclude the authors.